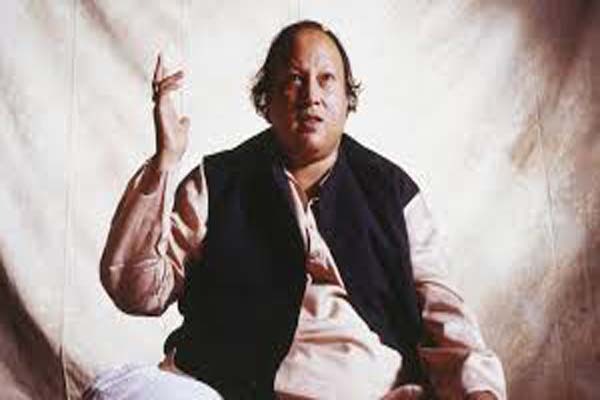 ISLAMABAD, Aug 16 (APP):Legend musician Nusrat Fateh Ali Khan 21st death anniversary was observed on Thursday across the country. “Shahenshah E Qawwali” Nusrat Fateh Ali Khan performed with artists from different cultures. His collaborations with various rock and electronic musicians worldwide, proved both the agility of his voice and it’s hold over it’s audiences. Before reaching heights of worldwide fame, Khan Sahab performed a memorable Qawwali set here at Lok Virsa, which remains one of the most highly-cited performances of the maestro. Lok Virsa Executive Director Shaheera Shahid in a message said that “We remember Nusrat Fateh Ali Khan on the 21st anniversary of his passing, with “Allah Hoo” from the very same performance recorded at Lok Virsa – National Institute of Folk & Traditional Heritage. Various cultural organizations in twin cities of Islamabad and Rawalpindi have paid rich tributes to the legendary musician. Director General Pakistan National Council of the Arts (PNCA), Jamal Shah also paid tributes to the legend. He said that the services and contributions of Shahenshah-e-Qawwali would be remembered for ever. Head of Sakafat Dr. Momina also paid tributes to the legendary Qawall in her message on the 21st death anniversary.